The Institute of Buddhist Studies, in collaboration with the C.G. Jung Institute of San Francisco, initiated a series of dialogues regarding the recently published â€œRed Bookâ€ by Jung, on Friday, October 22, before an audience that filled the Jodo Shinshu Centerâ€™s lecture hall to capacity. Some 130 people were in attendance. The program began with an opening address by Dr. Richard Payne, Dean of IBS, and Ms. Ellen Becker, MFT, C.G. Jung Institute, who coordinated the event. Particularly important was the way in which these meanings were placed in the social and historical context. Rev. Fischer, who taught at the IBS in the 1990s, highlighted a difference in attitude toward states of consciousness as held between Buddhist thought and mainstream Western cultures. Where traditional Buddhism, as exemplified in the visionary dreams of figures such as Shinran, founder of Shin Buddhism, and Myoe, a Shingon proponent of the Mantra of Light, viewed consciousness as forming a continuum between the waking state and dreamless sleep, Western societies generally treat these as dualistic and opposed to one another. 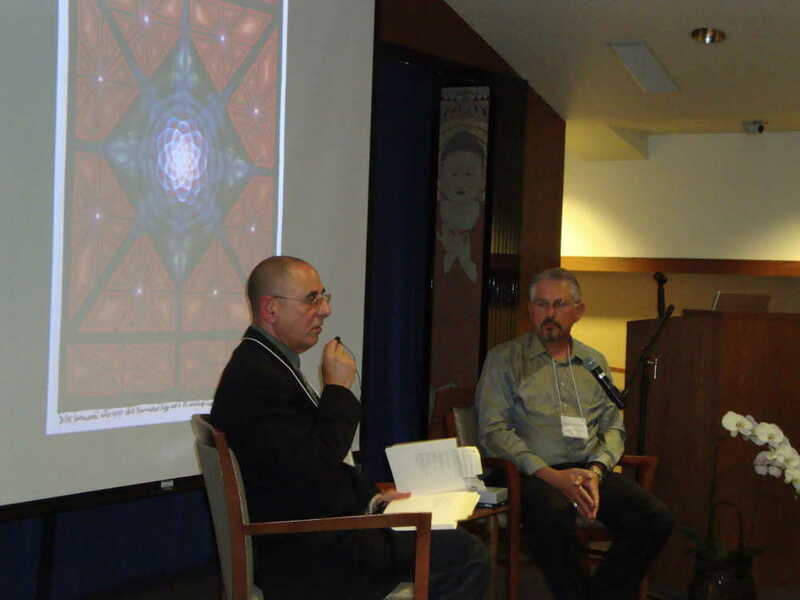 This was the first of two dialogues between Buddhist teachers and Jungian analysts on the â€œRed Book.â€ The second will be held on Friday, November 12 at the Hotel Kabuki in San Francisco. Click here for more information, or purchase tickets here.